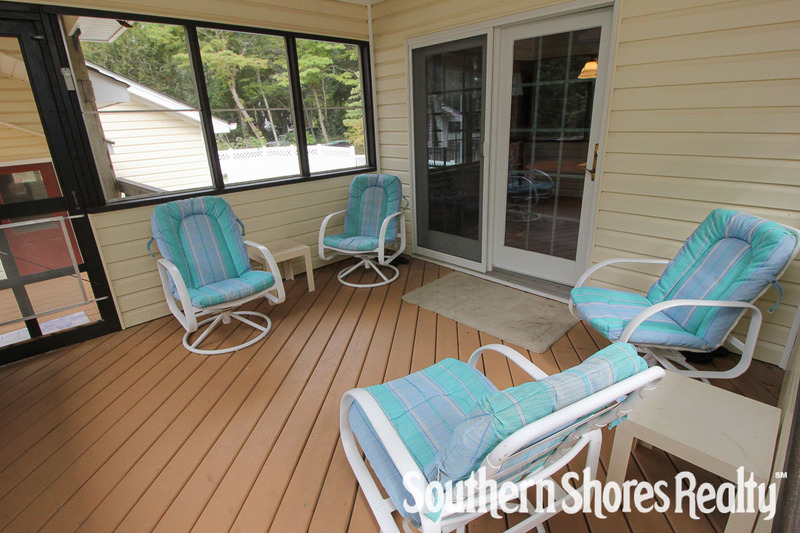 Relax and enjoy the quiet of the morning on the screened porch, soak up the sun in the afternoon while floating and playing in the pool. 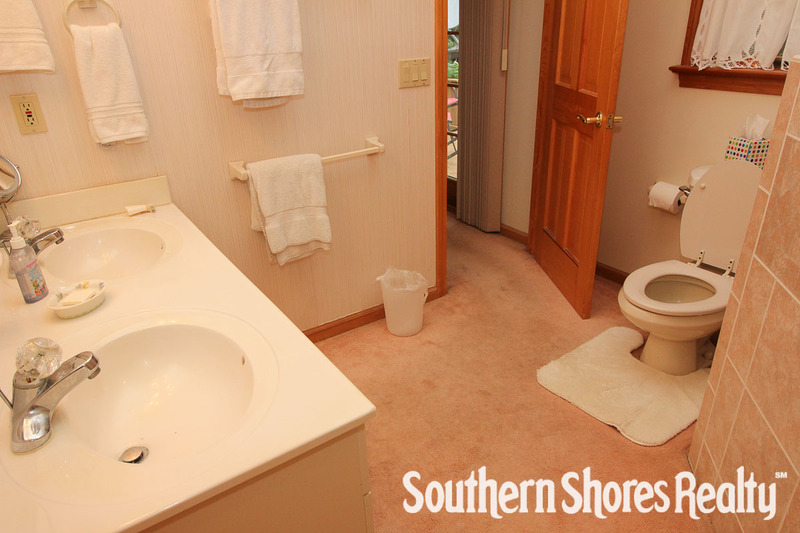 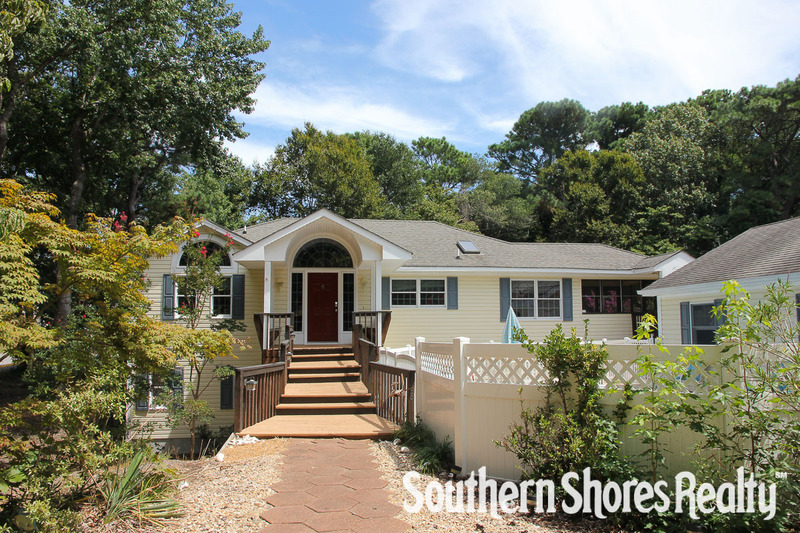 This comfortable home is located midway between the ocean and sound and is nestled in a quiet, community setting surrounded by natural beauty. 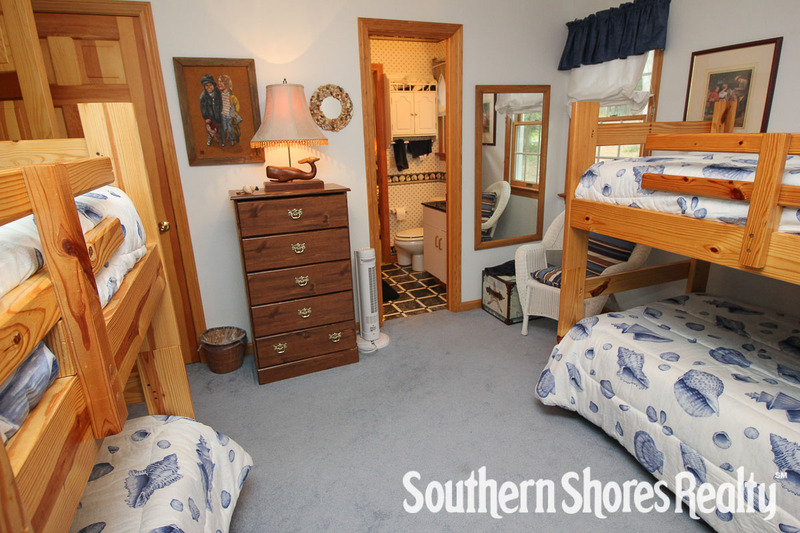 Four bedrooms (1 with 2 Bunk sets and 1 with Queen share a full Jack-n-Jill bathroom, 2 with Queen share a full Jack-n-Jill bathroom). 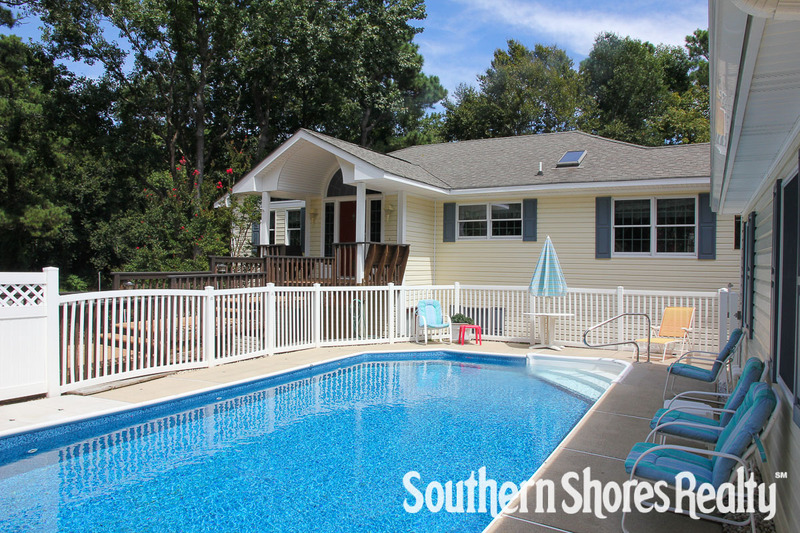 Entry level: Large windows allow for a bright living, kitchen and dining area, looking out to a spacious sundeck, screened porch, and view of the pool area. 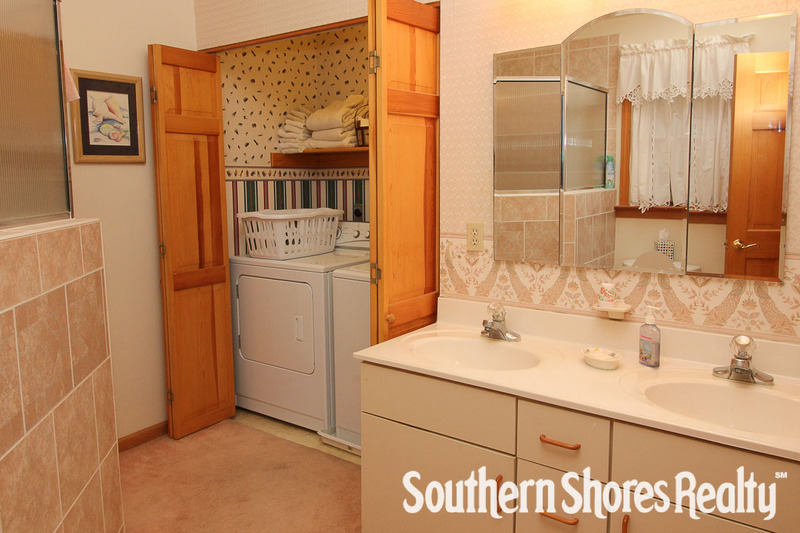 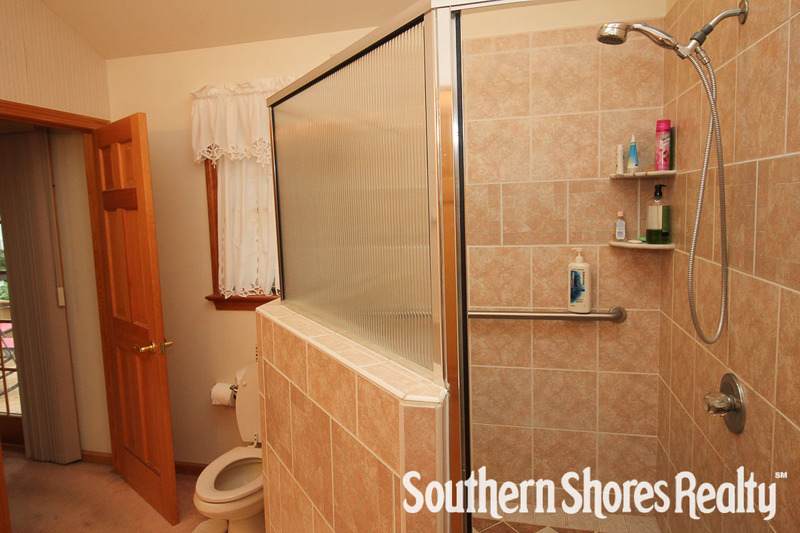 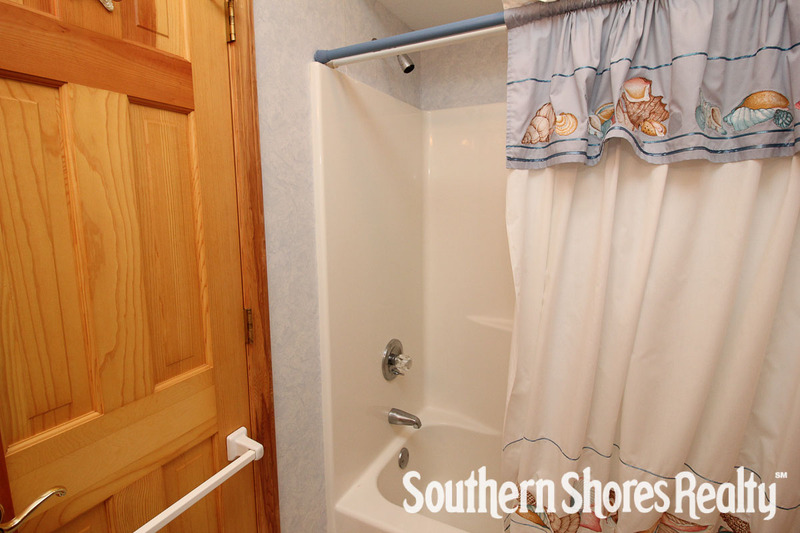 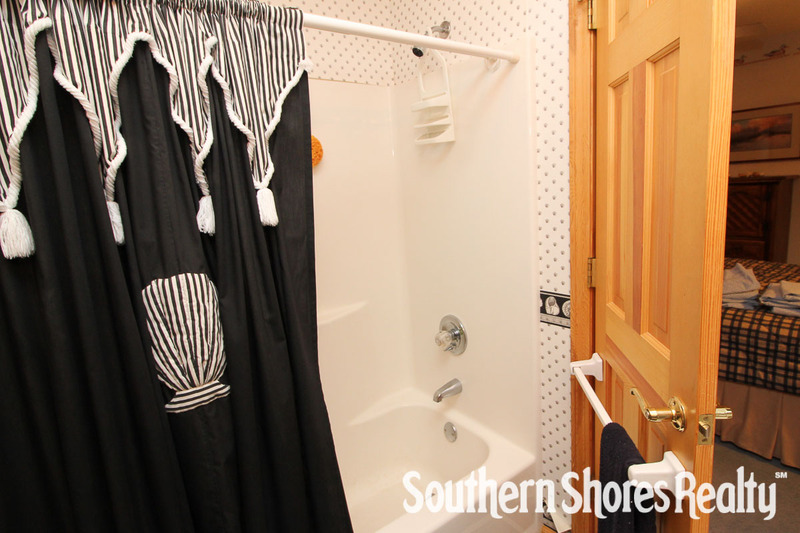 2 car garage, enclosed outside shower. 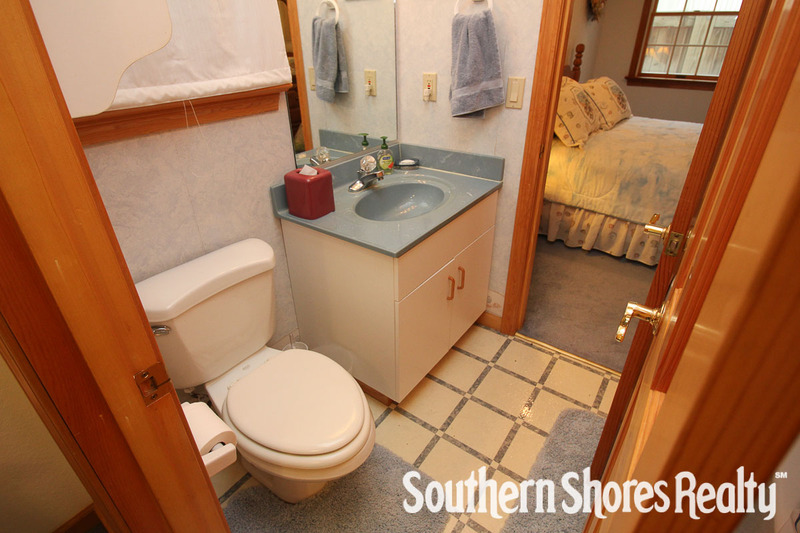 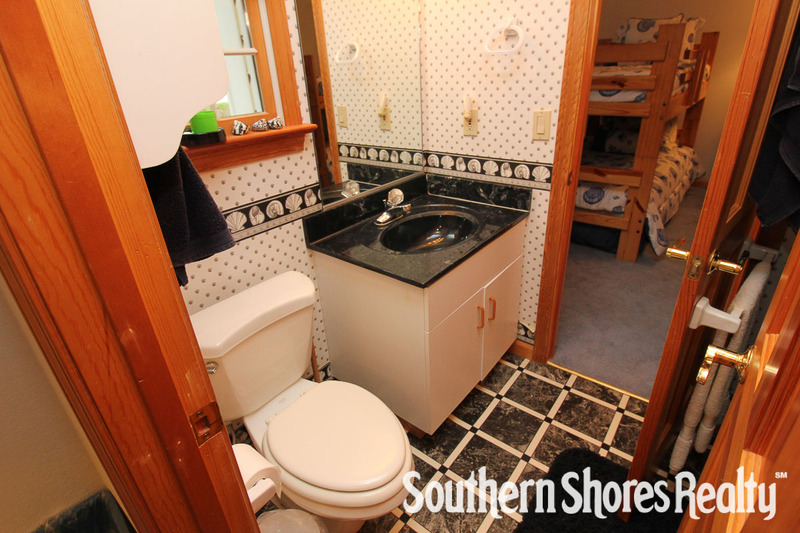 1 master bedroom (with Queen with CATV and DVD player), with private bathroom with a stand up, walk-in, tiled shower and laundry area. 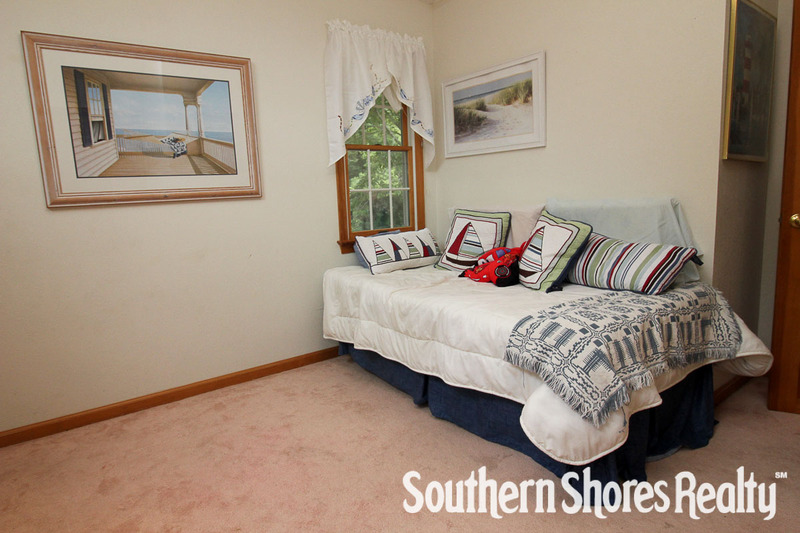 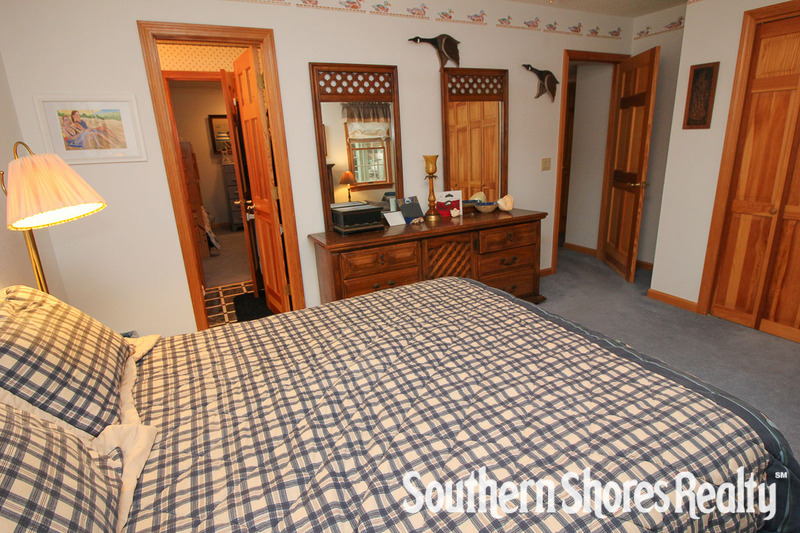 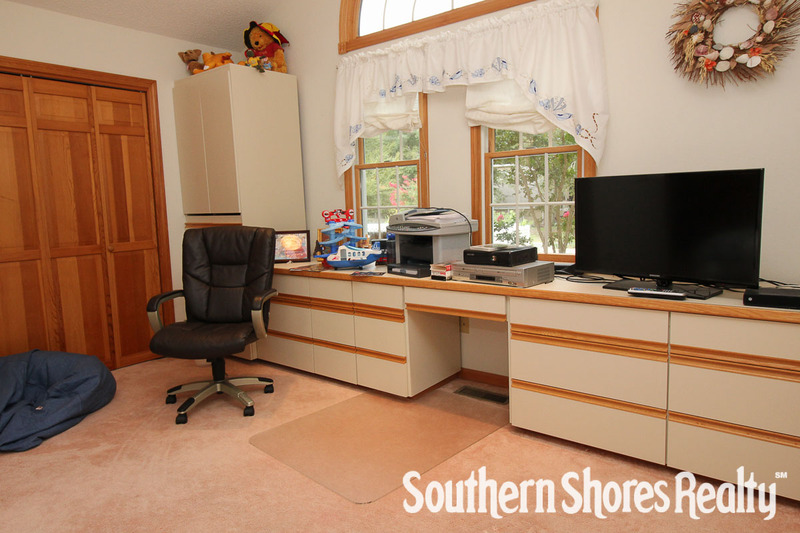 Office/study (with Twin daybed, CATV with DVD/VCR player), powder room. 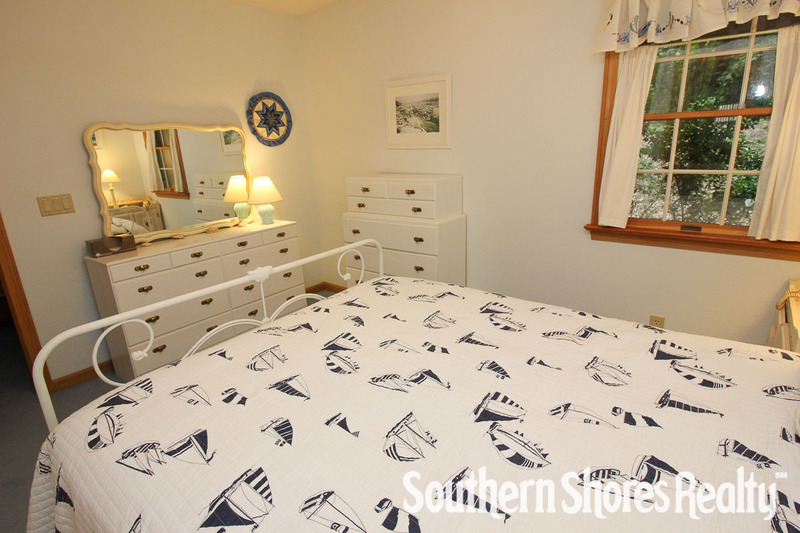 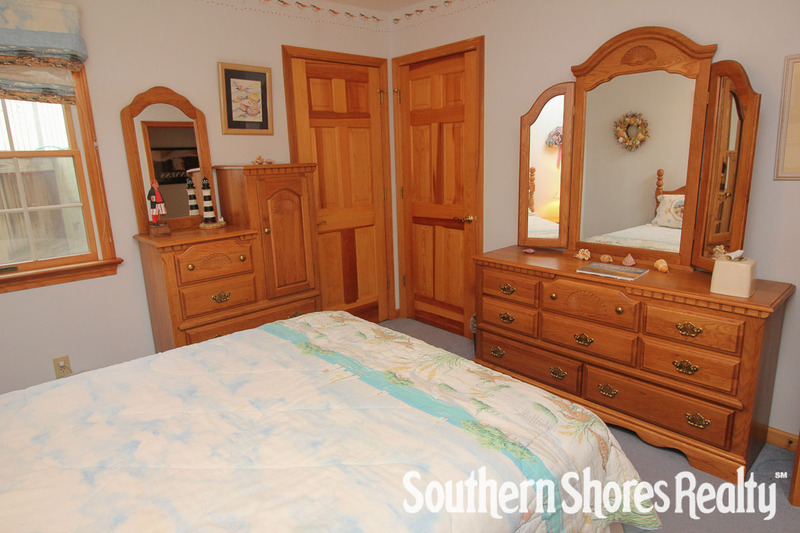 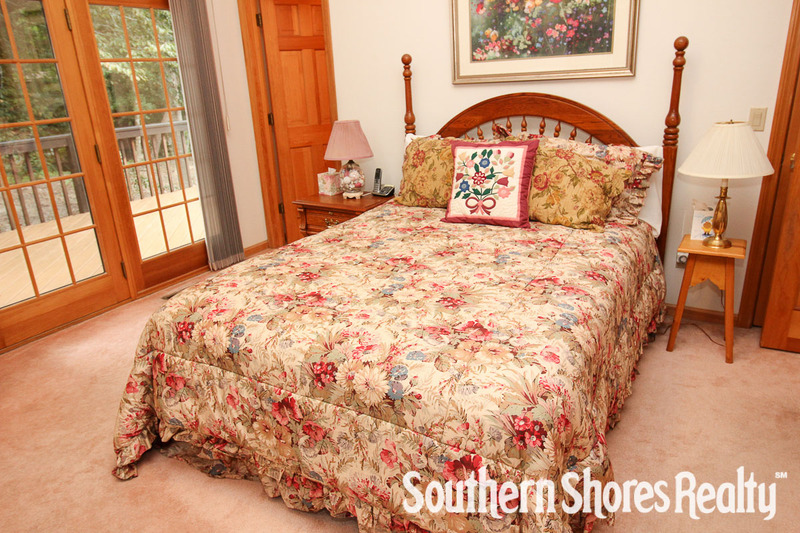 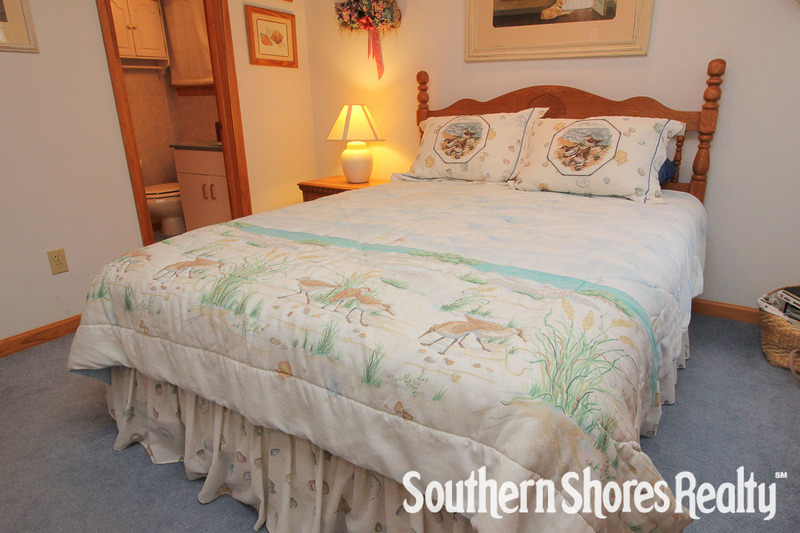 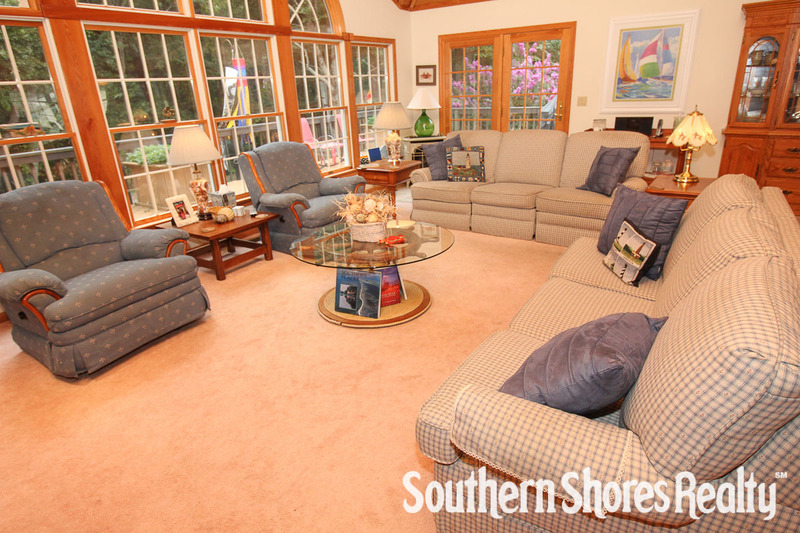 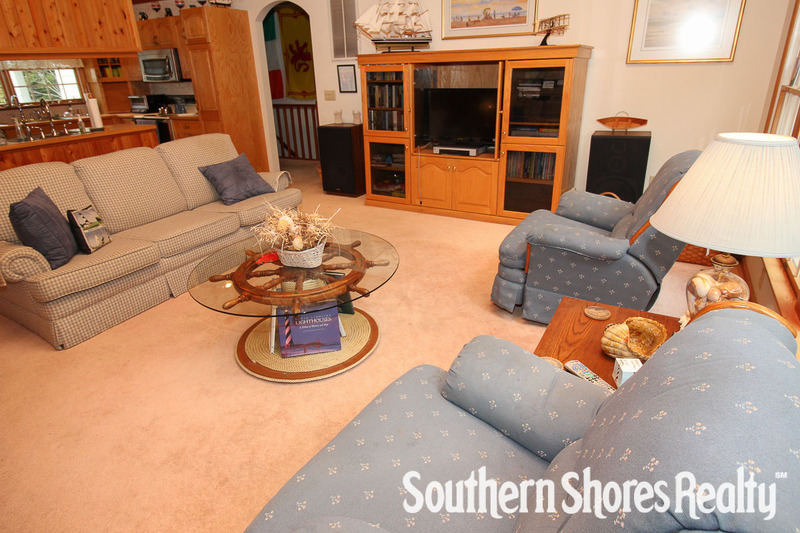 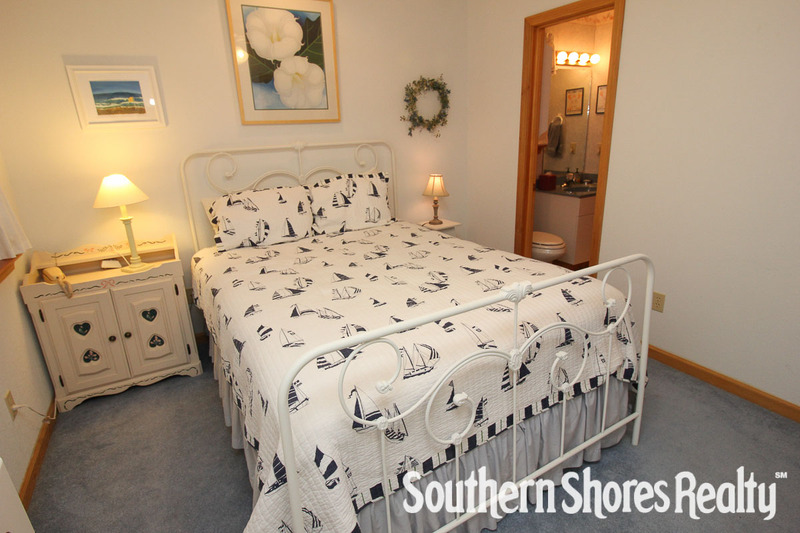 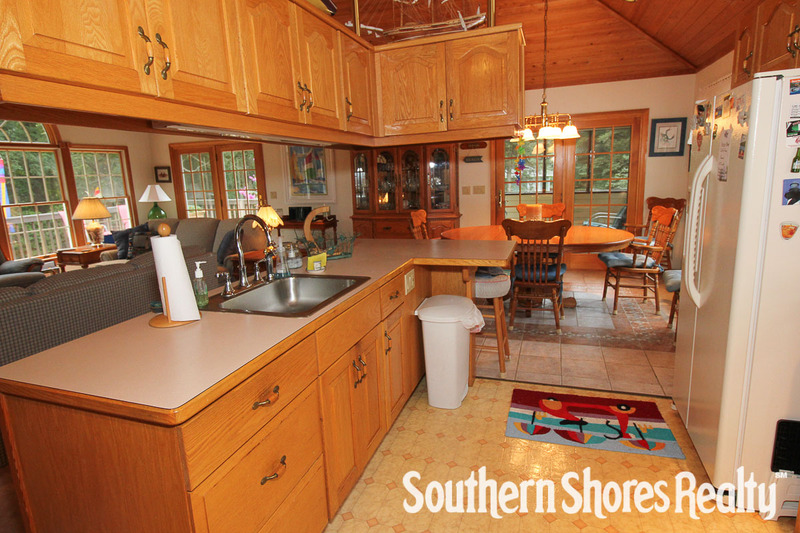 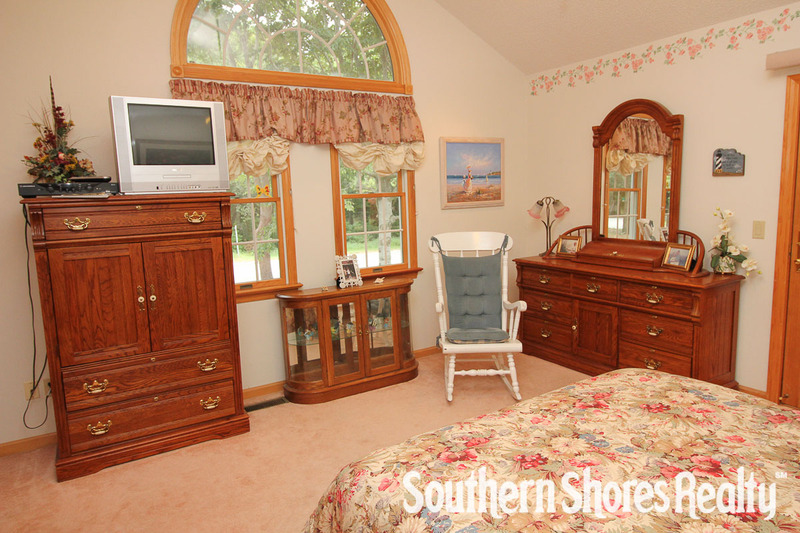 Celtic Dream is conveniently located in the town of Southern Shores, centrally located on the Outer Banks. 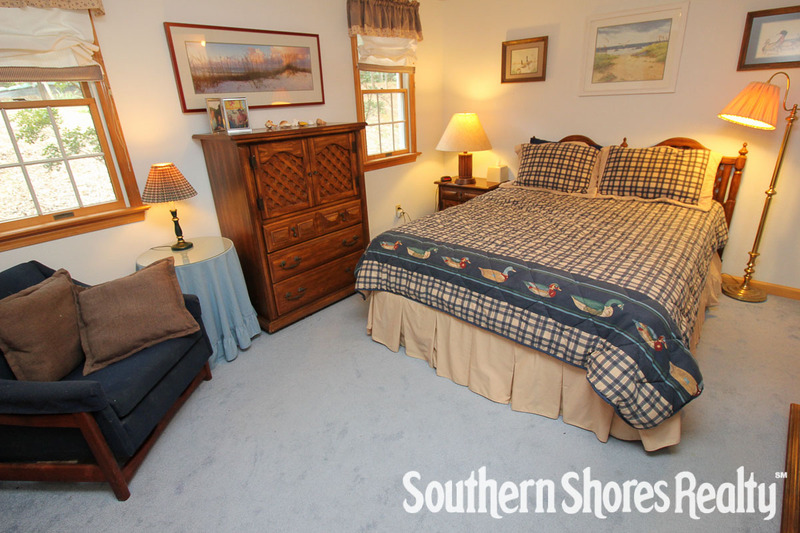 A short ride to the Town of Duck will have you walking along the soundside boardwalk or a ride to the south where you can enjoy the breathtaking sunset views high atop Jockey’s Ridge, the largest sand dune on the east coast. 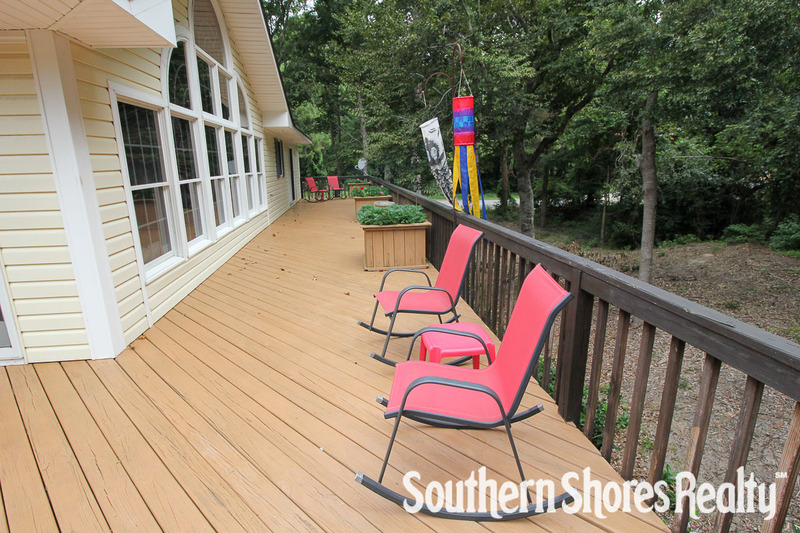 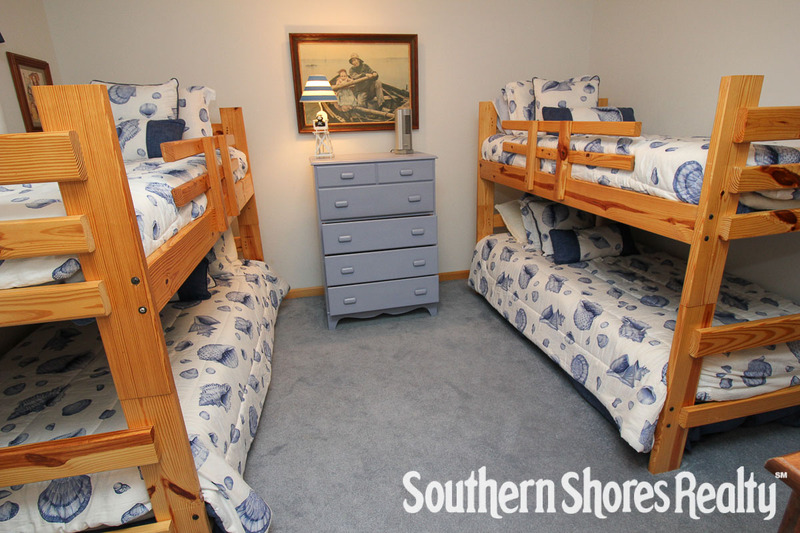 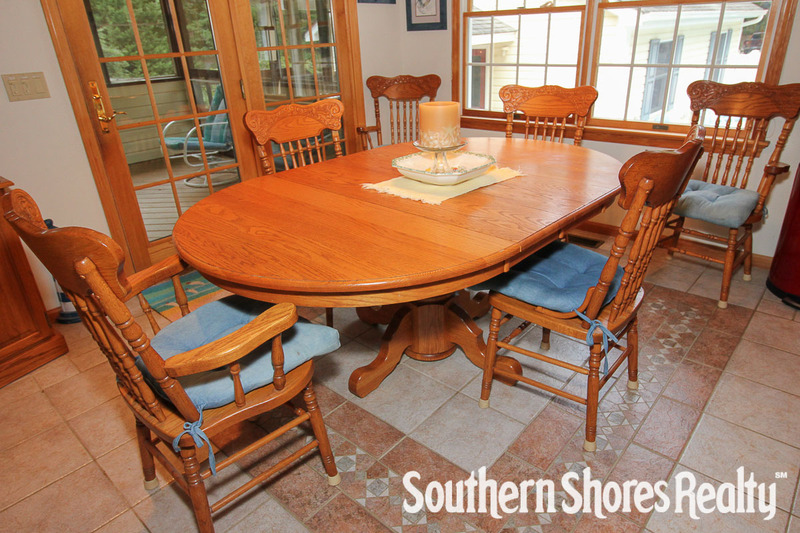 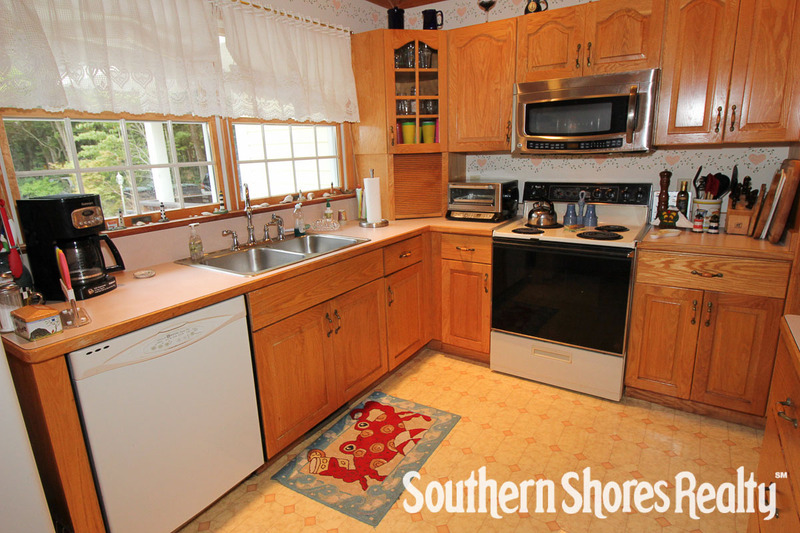 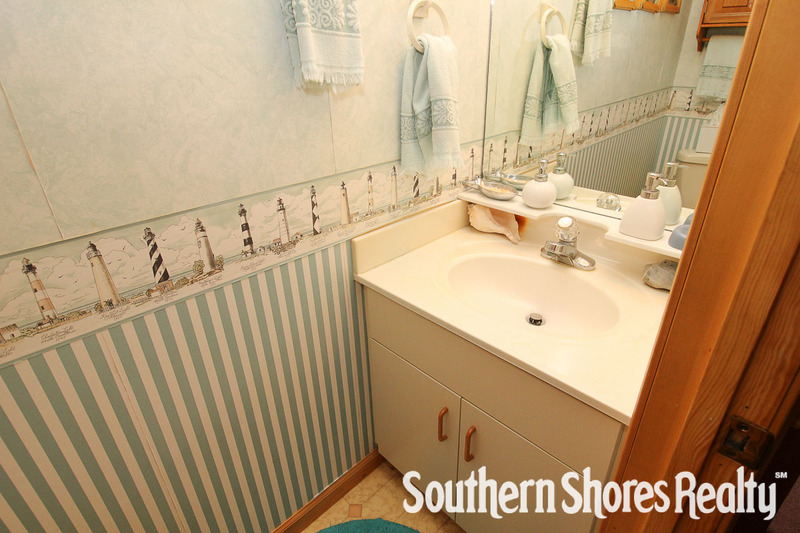 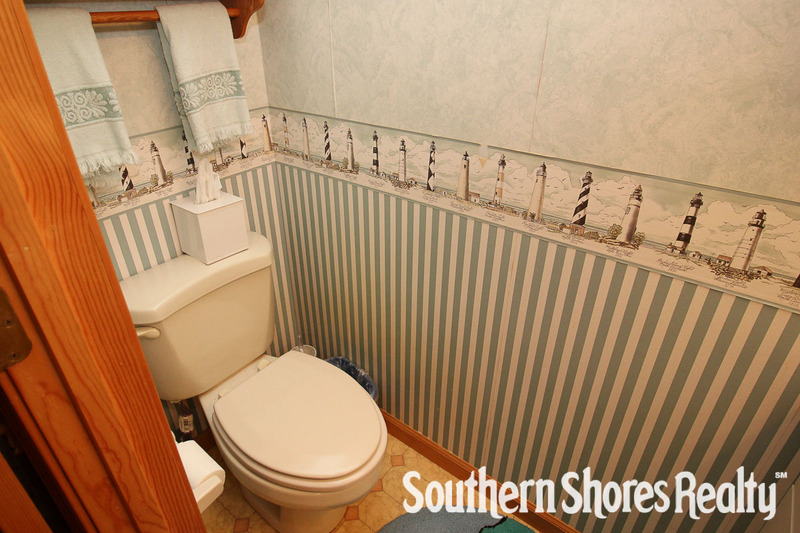 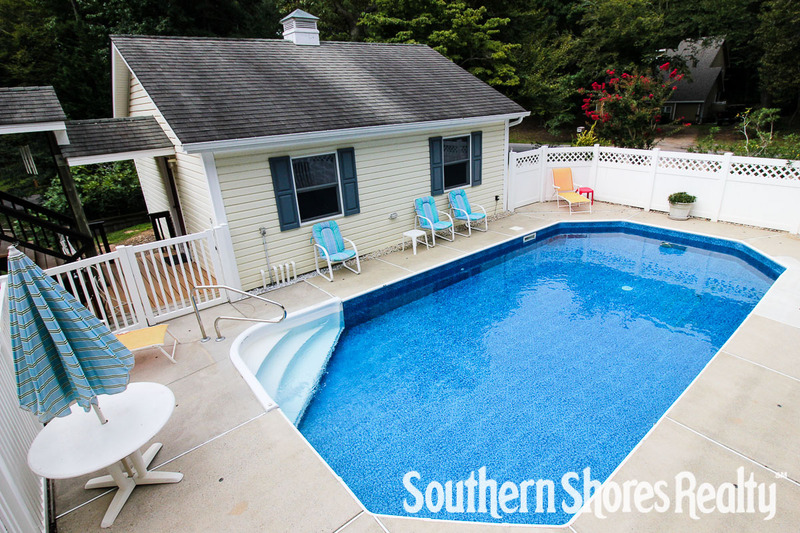 Book your week in this Outer Banks rental home and start counting down the days to a memorable getaway with your family!